You can’t say The Apartment Gallery is making a comeback. 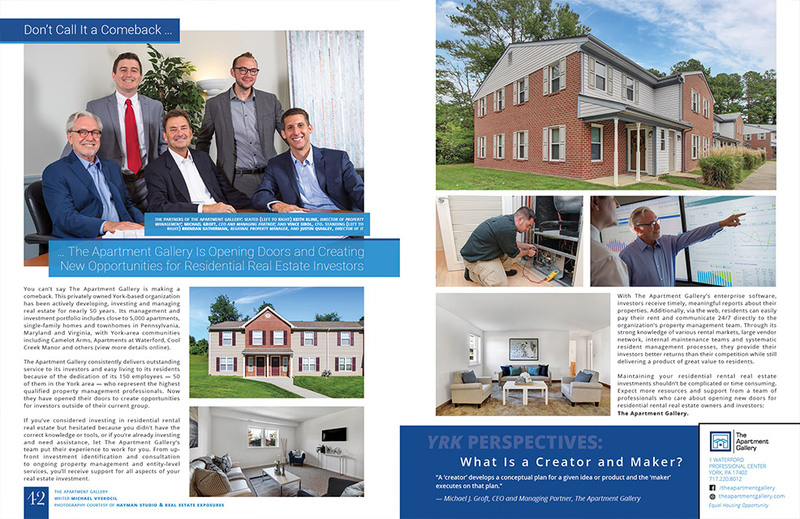 This privately owned York-based organization has been actively developing, investing and managing real estate for nearly 50 years. 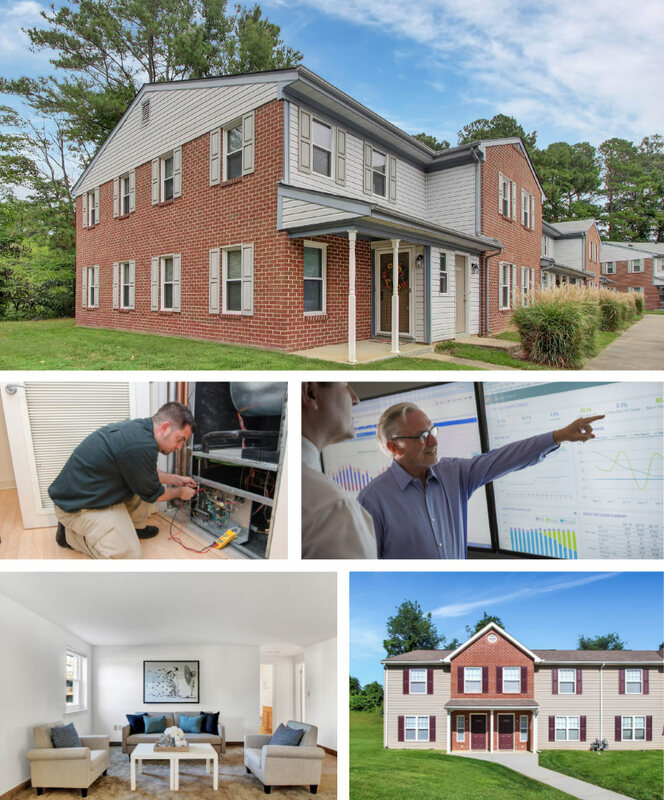 Its management and investment portfolio includes close to 5,000 apartments, single-family homes and townhomes in Pennsylvania, Maryland and Virginia, with York-area communities including Camelot Arms, Apartments at Waterford, Cool Creek Manor and others (view more details online). 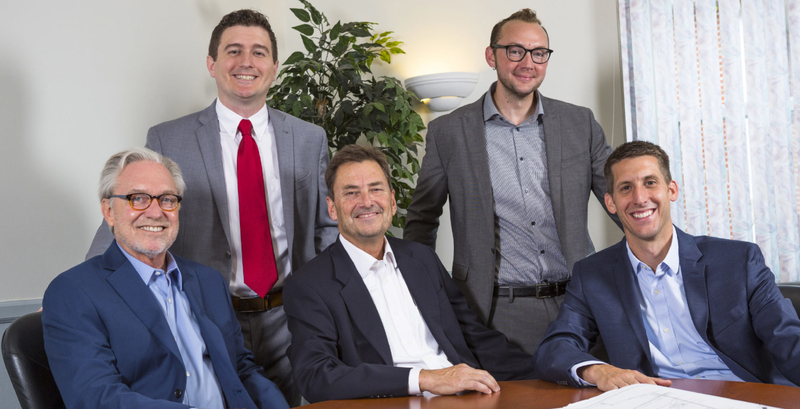 The Apartment Gallery consistently delivers outstanding service to its investors and easy living to its residents because of the dedication of its 150 employees — 50 of them in the York area — who represent the highest qualified property management professionals. Now they have opened their doors to create opportunities for investors outside of their current group. If you’ve considered investing in residential rental real estate but hesitated because you didn’t have the correct knowledge or tools, or if you’re already investing and need assistance, let The Apartment Gallery’s team put their experience to work for you. From up-front investment identification and consultation to ongoing property management and entity-level services, you’ll receive support for all aspects of your real estate investment. With The Apartment Gallery’s enterprise software, investors receive timely, meaningful reports about their properties. Additionally, via the web, residents can easily pay their rent and communicate 24/7 directly to the organization’s property management team. Through its strong knowledge of various rental markets, large vendor network, internal maintenance teams and systematic resident management processes, they provide their investors better returns than their competition while still delivering a product of great value to residents. Maintaining your residential rental real estate investments shouldn’t be complicated or time consuming. Expect more resources and support from a team of professionals who care about opening new doors for residential rental real estate owners and investors: The Apartment Gallery.